A former Catalan pro-independence leader who is in jail for alleged rebellion pending a trial over the 2017 referendum is to run for mayor of Barcelona. 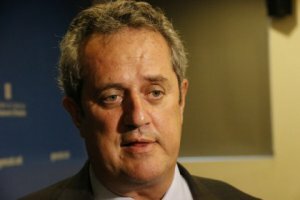 In a tweet, Joaquim Forn said he had ‘taken the decision’ to head up ‘a unifying, reliable and transversal’ electoral list in Barcelona for the municipal elections on 26 May. ‘I am running for mayor because I have that right, and not doing so would be to accept the arguments of those who have artificially constructed the narrative keeping me in prison,’ he added. The announcement comes as a trial against him and 11 other pro-independence leaders begins shortly over a failed attempt to separate the northeastern region of Catalonia from the rest of Spain in October 2017. Forn was home affairs minister from July to October 2017 in the pro-independence executive of former Catalan president Carles Puigdemont, and his term in office coincided with the Barcelona terrorist attacks of August 2017, and the independence referendum. Prosecutors want Forn to be jailed for 16 years for rebellion and misuse of public funds. He has been in pre-trial jail for 447 days. A councillor in Barcelona’s city hall for 18 years, Forn will head up the list of Puigdemont’s pro-independence party PDeCAT in the municipal elections. Forn is unlikely to be allowed to take office from behind bars if successful in the election. The Spanish judiciary has temporarily suspended all jailed leaders who were MPs from holding any public office until the verdict is out. Judges did not let the former Catalan president Carles Puigdemont be sworn in again because he did not appear in person in Parliament. Forn’s main rivals will include Ada Colau, the current mayor of Barcelona, and a member of the left-wing Barcelona en Comú, which is non-aligned in the independence issue. Former French prime minister Manuel Valls who was born in Barcelona, will also take part in the vote on a ticket supported by the Ciudadanos (Cs) party. The pro-independence Esquerra (ERC) party will also bid for the post with the former foreign minister Ernest Maragall. Ernest Maragall is the brother of Barcelona’s ex-Socialist mayor Pasqual Maragall, still popular for his role in the city’s successful bid for the 1992 Olympics. The Catalan Socialists (PSC) are running with their 2015 candidate, Jaume Collboni. The People’s Party (PP) will also run in the election, with the independent businessman Josep Bou leading the project, while the far-left CUP has not yet made it clear who its candidates will be. In his statement, Forn said being in jail would not be a problem. ‘I can’t accept that just because I am locked up I cannot set in motion the transformation project I have for Barcelona,’ he said. This is not a first in Catalonia. In snap regional elections in December 2017, Catalonia’s former vice president Oriol Junqueras was an ERC candidate and campaigned from jail via various writings and speeches read by colleagues. He won a seat in the regional parliament as did other jailed separatists. Junqueras will also stand for European elections due on 26 May, the same day as the municipal polls.